Someone saved her just in time. 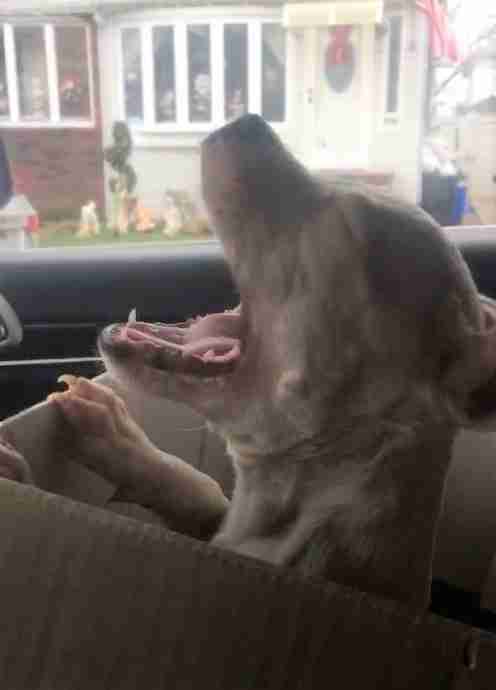 You might forgive Sugarplum for bawling her eyes out on her way to a fairytale ending. How was she supposed to know things were only going to get better? After all, since the day she was born, she knew only uncertainty and loss. 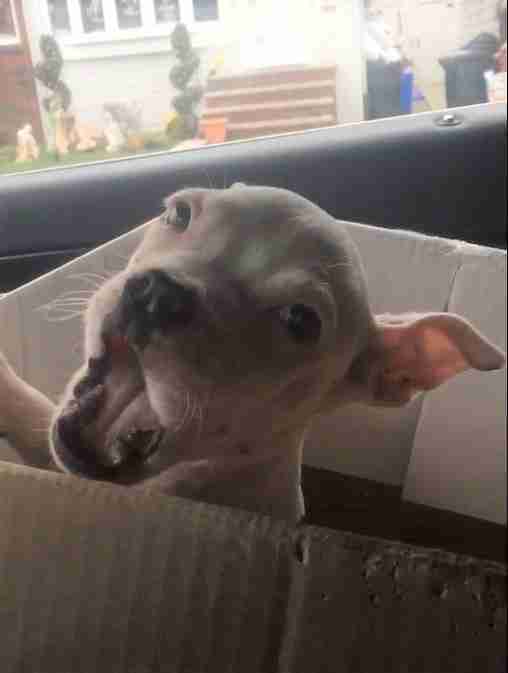 As the car drove away from the breeder's house, Sugarplum's wails were loud enough to prompt one rescuer to note she's got "a good set of lungs." But when this tiny dog left that house in New York City over the weekend, that was about all she had that was good. Sugarplum's paws were stained with urine. She was brutally emaciated. Just barely in the world and she was already just barely there. And she had just lost her sister. 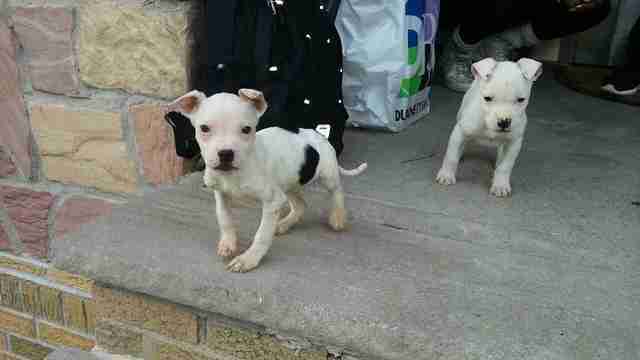 Earlier this month, someone posted an online ad, hoping to sell Sugarplum, along with her sister. 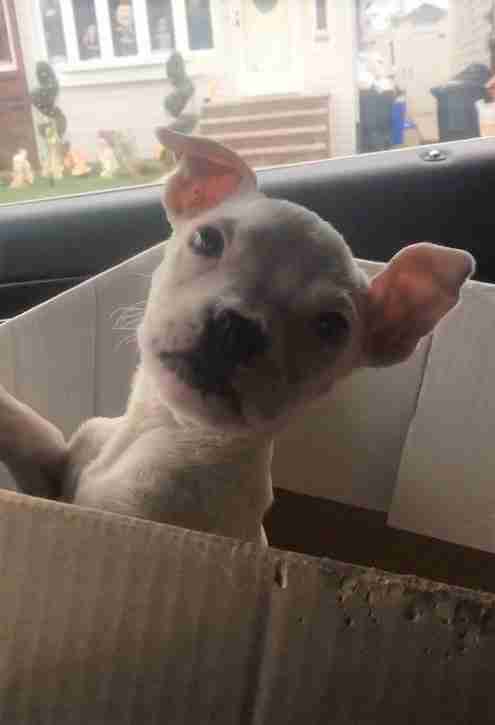 It doesn't happen often that online ads for pets find their way to the right people - and it's most certainly a terrible idea to sell an animal on Craigslist. But this ad managed to get to the best people possible. 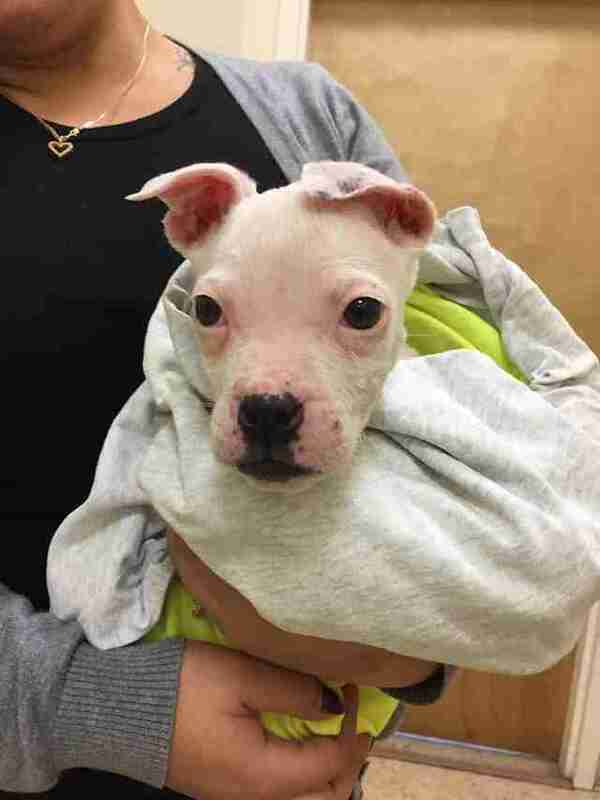 "Somebody sent me a link with two little white puppies being sold on Craigslist," Jackie O'Sullivan, cofounder of Rescue Dogs Rock NYC, tells The Dodo. "So I reached out to the [seller] to see if we could take them." "He said we could take them both for $350." O'Sullivan scrambled to find someone who could pick up the siblings. "I could tell they were not in good shape," she notes. 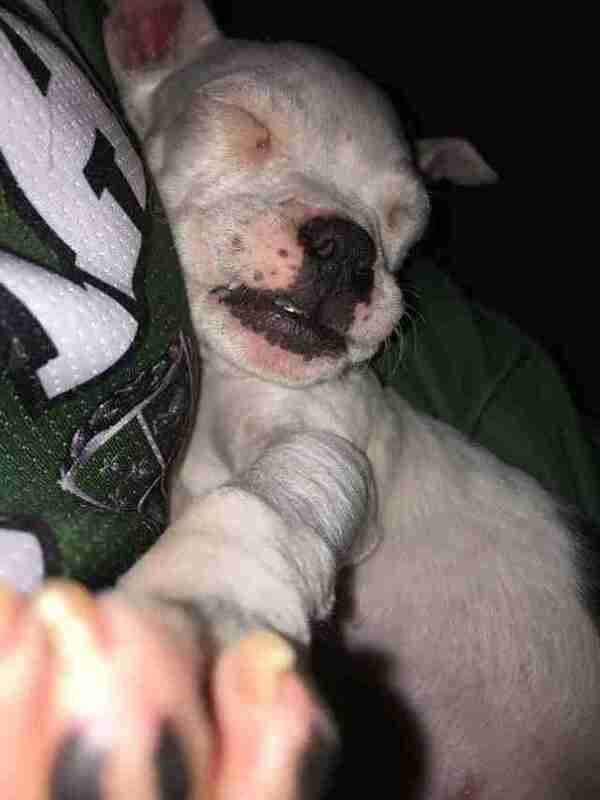 But by the time, a volunteer from Rescue Dogs Rock NYC arrived at the seller's home, there was only one puppy left. Sugarplum. "We saw that she very underweight," O'Sullivan says. "Her legs are kind of bent, like she had been kept in a crate. She was also very hand-shy so she definitely had not been treated well." 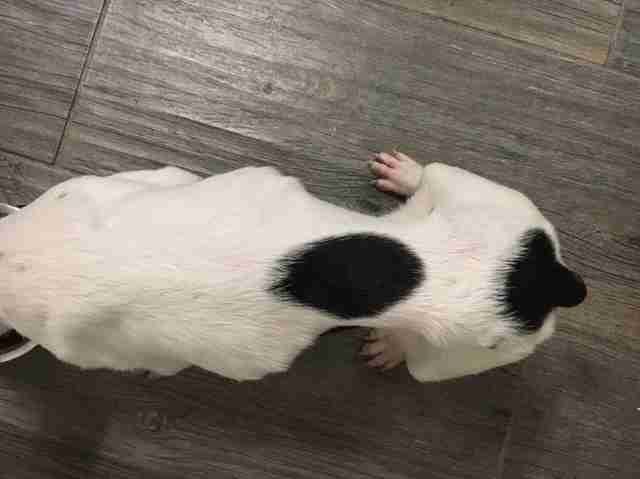 Her former owner, having likely bred Sugarplum and her sister strictly for profit, wouldn't have been interested in investing much care in the dogs. "They don't care. They just do it for the money," O'Sullivan says. "That's why the puppies are being sold younger and younger. Because once they're being weaned by the mom, it's a lot of work." "You've got to feed them," she adds. "You've got to clean up after them. This person obviously didn't put any effort into their care." 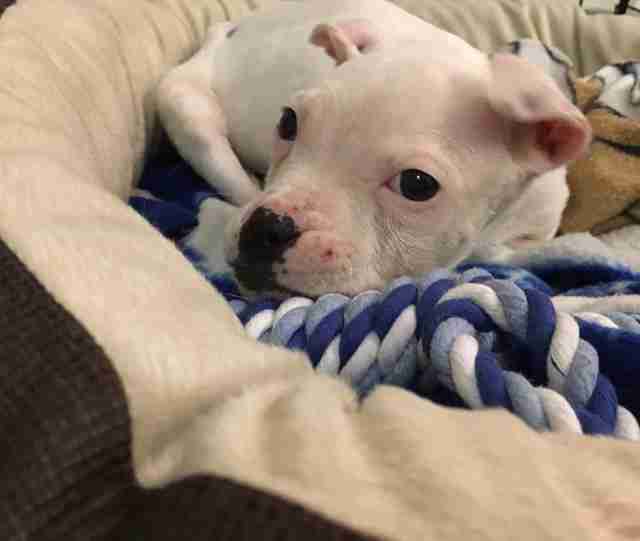 Luckily for Sugarplum, people lined up to do the "work" involved in bringing a puppy's seemingly stillborn heart to life. 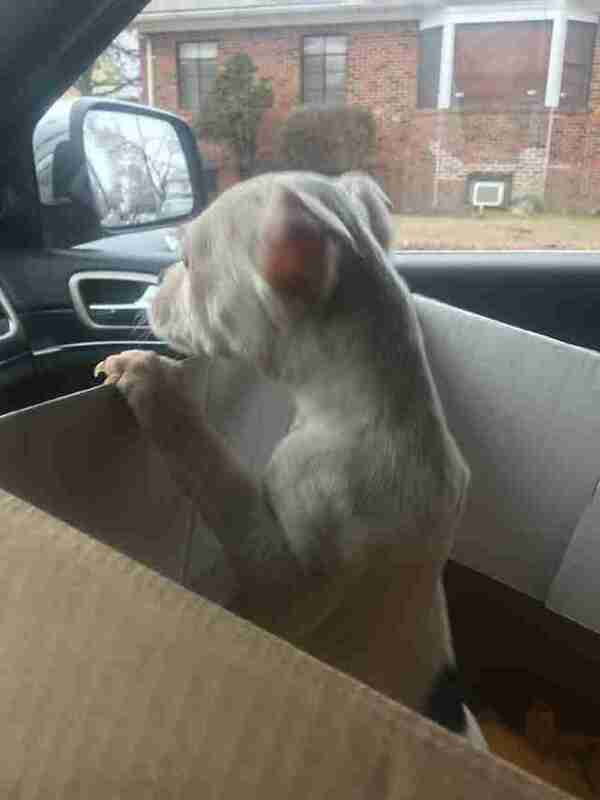 The very day Sugarplum was rescued, she joined a foster family. And two days after that, Sugarplum found her forever home. Hang in there, Sugarplum. The real life - the good life - is just beginning. And for once, you will be in the driver's seat. 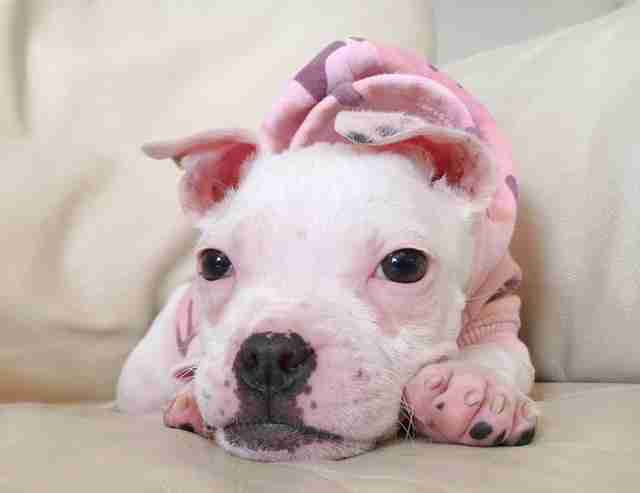 Want to support Rescue Dogs Rock NYC in its mission to save countless dogs like Sugarplum?